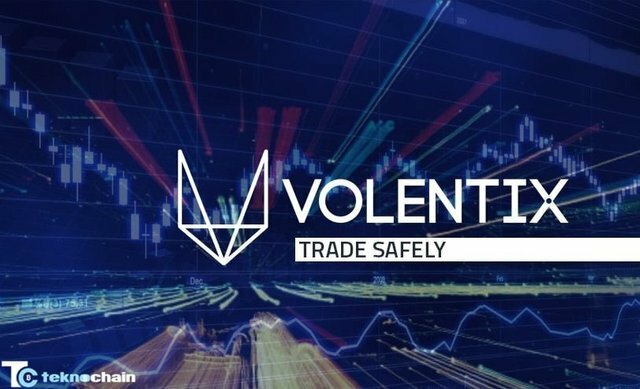 You can read the details of the Volentix project by clicking here! The link I've provided will take you to the my first (Part #1) Volentix Papers translation contribution. I hope you enjoy reading the details about the amazing Volentix project! Verto: Verto is a kind of wallet. Unlike normal wallets, the Verto is a multi-currency wallet that enables continuous management of funds by VDEX users. Vespucci: Vespucci is an analytics engine. It covers real-time data and historical market that includes digital asset ratings. VDex: VDex is the most important DApp of this project which is a distributed and decentralized digital assets exchange VDex is built on EOS.10 intelligent contracts. This shows that VDex is reliable and fast for crpytocurrency transactions. Venue: VENUE allows users to receive some VTX tokens in exchange for their help and participation in submitting works. These DApps work in syncronhize with each other for the improvement of their effectiveness and for the betterment of the whole ecosystem. You can learn more about Volentix project by clicking here! You can take a look the Volentix project by clicking here! You can download Volentix Verto Windows application by clicking here! The final is approaching, the project is very close to the end. In this part, No matter how difficult the Volentix project was, I was really both enjoying and learning, and I'm getting upset for coming to an end. As usual, I learned a lot of financial terms, some of them; Ichimoku Kinko Hyo, Vespucci SA, NTLK, TextBlob, Senkou Span A and Senkou Span B, FTA, etc. I completed 75% of the project. I aim to translate the Volentix project until it is 100% complete! I aim to translate this project from English to Turkish. Thank you for contributing to the Utopian-Davinci Translation Project. This is your 11th contribution to this project. You translated 1010 words in this contribution. I think the overall accuracy of the translated text is very good. I found one error in main string and i created an issue about that. Your translation quality is amazing, i could not found any error in this contribution. If you see any error in main string, you should warn PO to change it. Anyway, it was a good contribution. I'm looking forward to see your next contribution. Thank you for your review, @mugurcagdas! Keep up the good work! You just got a 0.08% upvote from SteemPlus!